The Tribune Trust thanks all its readers who responded to its appeal for contributions to The Tribune Earthquake Relief Fund. 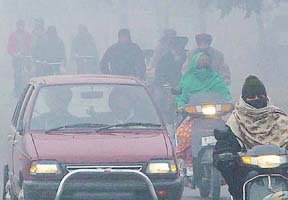 Many parts of north-west India were in the grip of renewed cold wave today following a drastic fall in the night temperature as low clouds and a thick fog engulfed the plains, reducing visibility considerably and affecting road, rail and air services in the region. Should the manufacturers of indigenous medicines be forced to disclose ingredients? The Supreme Court today referred to a Constitution Bench the controversial Andhra Pradesh law providing five per cent reservation to the Muslims, but declined to grant interim stay on the state high court order striking it down as “unconstitutional”. 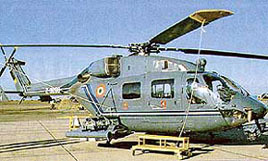 The Indian armed forces have grounded the entire fleet of the much-hyped indigenously developed advanced light helicopter ‘Dhruv’ because of some technical faults in the flying machine. Samples of medicines allegedly prepared by yoga guru Ramdev did test positive for animal and human contents, Union Minister Anbumani Ramadoss said today. The government must be aware that we have been warning the government on the opening up of the telecom sector to private companies or to foreign capital. This will pose a threat to our security. Petroleum dealers have warned that 50 per cent of the petrol stations across the state could go dry from tomorrow. As the issue between the Indian Oil Corporation and the petroleum dealers regarding the transportation of petroleum products remains unsolved, the dealers have stopped lifting petrol and diesel from the company’s godowns, which means that they would sell oil only till their stocks last. Coming down heavily on the management of Christian Medical College, Ludhiana, for refusing to admit candidates under the government quota to the MBBS and BDS course, the Punjab and Haryana High Court today imposed exemplary costs on the college. The Supreme Court today sought an explanation from the Orissa Government on a petition by a Muslim couple that the State was not providing them protection to live together after the local community forced them to stay separately, claiming that the husband had uttered “triple talaq” while intoxicated.